The North Devon District in southwest England is known for its dramatic cliffs, wild seas, and sandy beaches. The coastal area features incredible sand dunes, rocky coves and medieval towns, making it a great spot for a getaway. The specific area known as The Valley of the Rocks is a dry valley that runs alongside the coast of North Devon, and is one of the top tourist locations in the area. You can see why, thanks to this drone video by p3c0; the place looks magical, almost like the fairytale location the likes of Camelot or Merlin’s mystical cave. Description: We headed to visit Valley of The Rocks in North Devon. This MIST surprised us, but did not stop from taking drone out and try what I always wanted. Fly Drone in the MIST. 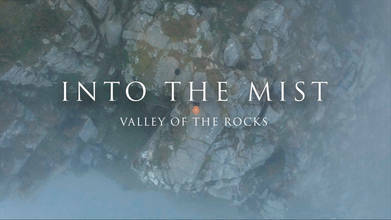 Here are some shots from this great Valley of Rock in their mystical mood.